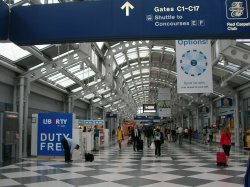 The Chicago Department of Aviation (CDA) announced that it expects more than 5.2 million passengers to travel through O’Hare and Midway International Airports for the Christmas and New Year’s holidays. The CDA, working with its airport partners, is prepared to offer a safe and efficient travel experience for all passengers this season. With the number of travelers increasing over last year’s holidays, passenger volume this winter season is projected to be the highest on record for Chicago’s airports. 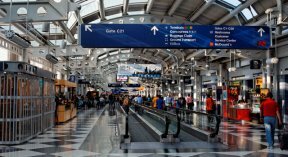 However, the travel experience is expected to be a smooth and efficient one for passengers, with O’Hare and Midway steadily reporting some of the lowest wait times in the nation at Transportation Security Administration (TSA) security checkpoints in 2017. Consistent with nationwide projections, the busiest day during the 21-day travel period at both airports will be Friday, December 22, with 225,000 passengers at O’Hare and more than 70,000 travelers at Midway. Holiday Activities – Entertainment, Pop-Up Holiday Gift Shops, Gift Wrapping and More!